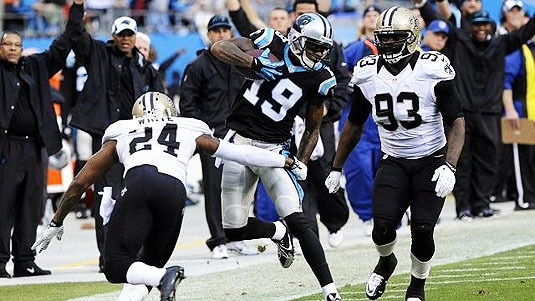 Ted Ginn had one of the best seasons of his seven-year career on a one-year deal in Carolina last year. The first of two receivers who will appear on this list is former Panther Ted GInn. Noting that two receivers are on this list should indicate this, but I’ll say it anyway: I’m not sold on our No. 2 receiving options opposite A.J. Green despite the few big games Marvin Jones had last season. A 28-year old speed receiver who has never racked up more than 800 yards in a season may not be the most enticing free agent, but Ginn’s 36-catch, 556-yard, 5-touchdown season in Carolina may just be his career best. It’s not those numbers, but Ginn’s speed and kick return ability that land him on this list. Defenses do not fear any of our options opposite A.J. Green and aside from Andrew Hawkins and running back Giovanni Bernard, the team lacks players who can make big gains in the open field. With a quarterback whose deep ball is questionable, those types of playmakers provide a different kind of big-play ability to an offense. The other key item to consider with Ginn is his ability as a punt returner. 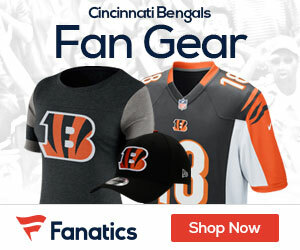 The speedster has racked up 20-yard returns one in every five tries the last three seasons while Brandon Tate has done so one in every 10 in his three years with the Bengals. With Tate set to hit the open market, Ginn’s impact on special teams should be the biggest selling pointfrom his agent in trying to bring the former Buckeye back to his home state. Oh, did we mention Ginn plays at Ohio State? Mike Brown loves those guys.